How to study for security related SIA qualifications. Security Break up Fight as Tyson Fury Stops Boxing To Watch the action. 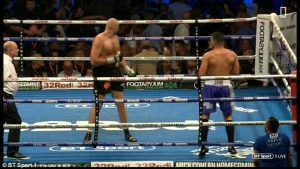 A big brawl erupted in the crowd during the Tyson Fury versus Sefer Seferi.